Even as a sneak peek, this is rough right now. Stay tuned! More to come, including a revision and prettying-up of this rough draft post. CupcakeTrap is tired. I’ve just closed the polls for the first interactive lore event of the Hextech Revolution storyline. The consequences of this event will continue to play out throughout the storyline, and we’re hoping to put together some juicy lore tidbits that will fit together with tomorrow’s research rolls. Because I know people are bouncing up and down with excitement, though, I’m putting this post together to reveal how each faction voted and give a quick rundown on what happens next. Again, more detail will come out soon, and many of these events have triggered new plot developments that will continue to develop over time. Janna, the Storm’s Fury, will fight for Piltover. 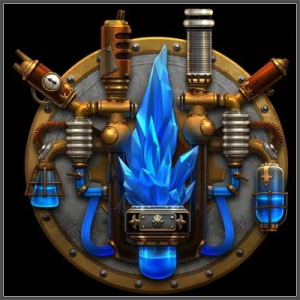 Piltover voted to decide whether or not to loosen restrictions on pyrikhos research in order to catch up with Zaun, at the cost of putting Piltover and perhaps all of Valoran at greater risk of disaster. The vote was close, but Piltover’s Summoners ultimately decided to maintain Piltover’s careful, deliberate approach to research. Piltover’s intelligence agency put forth a proposal for a mission of espionage within Zaunite territory. They revealed that they had deep cover agents on staff at major Zaunite megacorporations. These agents could attempt to access confidential files concerning Zaun’s latest top-secret projects, at the risk of blowing their cover. After considerable deliberation, Piltover voted to approve the mission. To succeed: roll 6 or higher on a d10. To avoid detection: roll a 4 or higher on a d10. Outcome: Piltover has discovered the HexKorps and now knows that Zaun is building a new army. They also had a chance to pick up some Zaunite research secrets to give them a boost for the next round of research rolls. Rolled: 10. Piltover gets to roll twice for all projects this week. Propose a Tech Swap with Bandle City? 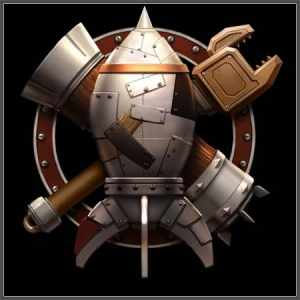 A tech swap with Bandle City would launch both factions forward. Piltover almost unanimously voted in favor of making such a proposal. Outcome: both Bandle City and Piltover get an extra roll on their projects this week. Void Decontamination: A risky project (Danger Level +2) investigating how people and land contaminated by the Void might be restored. People of Tomorrow: A bio-augmentation project which could give humans (or yordles) superhuman abilities, at the risk of delving into a somewhat taboo and ethically fraught area of research. Piltover had the option of adopting neither. After a close vote, the Summoners decided to launch the People of Tomorrow project. Everything is going pretty great for Piltover. But then — explosions blast through downtown, destroying several research labs. Surprisingly, it’s not Jinx. Piltover’s finest crimefighting duo, Cait and Vi, quickly discover that it’s the work of Zaunite saboteurs. Many are dead, including several of Piltover’s finest researchers. A great deal of their work has also been destroyed. Piltover loses its research rolls this week. But they know exactly who is to blame for this catastrophe. Bandle City summons Kennen, the Heart of the Tempest! By a considerable margin, Bandle City voted to spy on Zaun. Bandle City voted by a significant margin not to propose a trade to Zaun. The Council has declared the Floating Pyramids of Shurima off-limits. But Amumu told the Mothership Elders that he knew about a secret entrance to the Great Pyramid of Akhtal, which to this date none have ever entered. Yordle mages hypothesized that a hex-bomb filled with a variant of their latest batch of pyrikhos rocket fuel from the Refuel the Mothership project could blast through the arcane seal. After much debate, Bandle City voted to investigate the pyramid. What kind of bad stuff? I rolled on a secret table. Lower rolls are better. Amumu found a friend after all. (Hint: not actually Amumu’s friend.) The yordles had better start running. May the Mothership preserve us all! More to come soon. Let’s just say that the title of the table entry they rolled is “Lich Queen”. Propose Tech Swap with Piltover? Bandle City voted in favor of swapping tech with Piltover — and although this could have fallen apart had Piltover discovered the failed Bandle City espionage mission, the sneaky little yordles managed to get away. Piltover and Bandle City make the agreement to swap findings. They each get an extra roll on their projects this week. 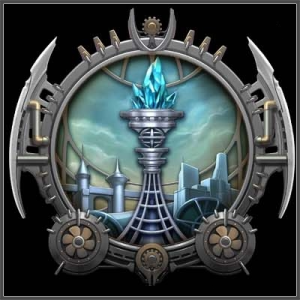 This also moves them closer to a Piltover-Bandle City alliance. Zac will fight for Zaun! In exchange, Zaun has agreed to let him begin his project to found a Mutant Academy, where all of Zaun’s mutants and misfits can learn to use their powers for good. Zaun narrowly voted in favor of a fiendish plan to set Piltover back. Zaunite spies placed an unstable hex on some of the pyrikhos being sent back to Piltover for experimentation. Massive explosions in Piltover. Hundreds or thousands are dead, including several key researchers. No Void rift seems to have opened, thankfully, but Piltover has lost a great deal of valuable research, and will need time to rebuild. Piltover loses its research rolls this week. Piltover is in a panic, and has been set back considerably. And they can prove exactly who was responsible. Enact the Mutant Registration Act? Zaun voted not to adopt the Act. Riots break out across Zaun as anti-mutant groups tear down Zaunite bioresearch labs. Zaun is at +2 Danger Level this week. HKEM: Large-scale strategic biochemical weapons project led by Singed. Zaun chose to launch the Void Energy project. Danger Level +2. The Iron Solari send Leona to fight for Demacia. One of the most basic questions facing Demacia is whether to continue to demand a total end to the use of the Void-touched pyrikhos. The vote came quite close, but Demacia ultimately decided to move toward a compromise position. They want to see even more caution than, for example, Piltover is known for, but they are willing to allow at least some pyrikhos experimentation. Demacia voted to spy on Zaun. The spy mission failed, but Demacia’s spies escaped undetected. 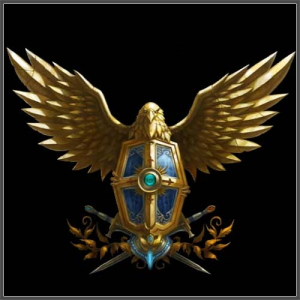 Demacia chose to launch the Secrets of Shurima project. (Danger Level +1.) Demacian mages are now studying ancient Shuriman magic, which is believed to play a role in the pyrikhos phenomenon. Demacia voted against summoning Aatrox. Cupcake, you forgot Demacia’s research project. You mean Secrets of Shurima? I see it. I mean the Cosmic Purity project. I don’t think I forgot that. Cupcake! You left off Demacia!